A view across farmland near Meriden. 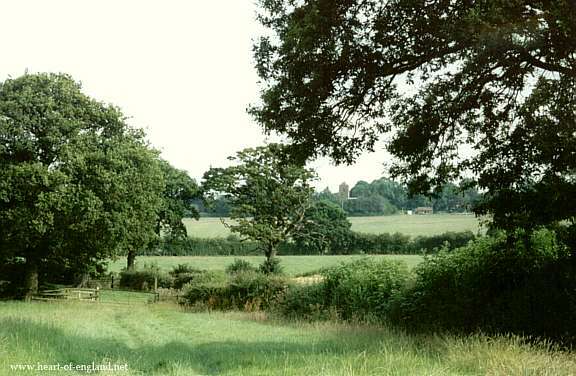 The tower of Meriden Church is just visible near the centre of the picture. The green at Meriden, with its cross which marks the centre of England. 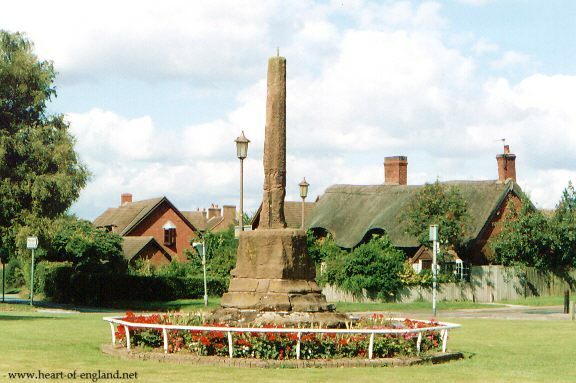 The village cross at Meriden marks the centre of England. 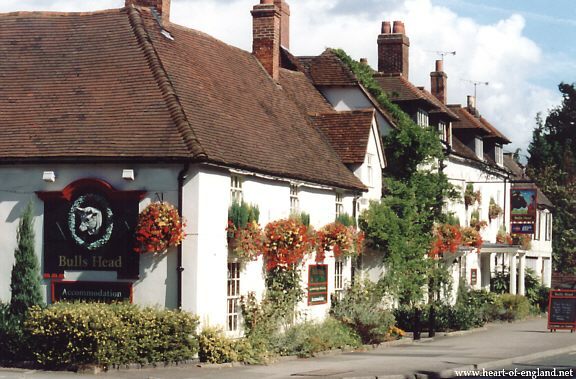 Meriden was the birthplace of Lady Godiva, who founded the first church at Meriden. There are modern buildings on the other sides of the green, so the setting is not as idyllic as it might appear. 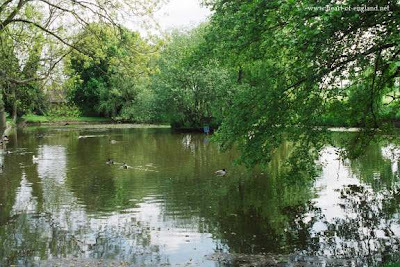 The village pond at Meriden. The Bulls Head, at Meriden. A view from high ground between Berkswell and Meriden. 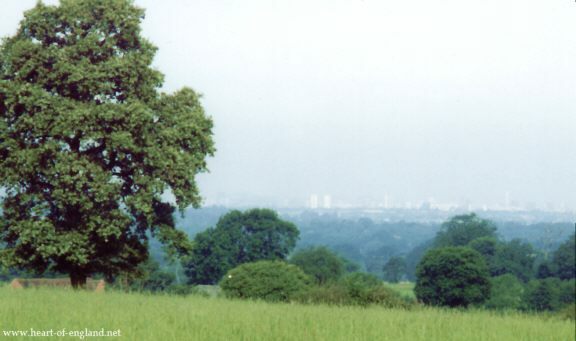 The white buildings on the horizon are Birmingham City Centre, 12 miles distant. This is the Meriden Gap, a very fragile green buffer between Birmingham, and Coventry, which is even nearer, behind us.